Love – or something like it! 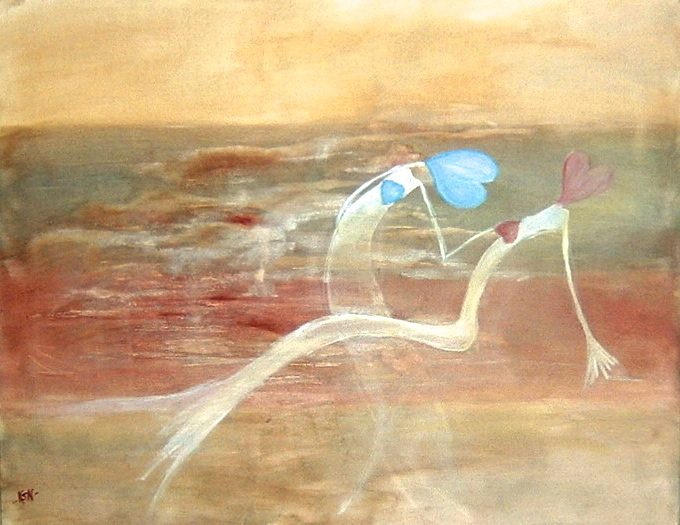 Here is one from the archives painted during a relationship I once had with a much younger man. I think it is quite a naive painting – just like the relationship was. Sometimes the greatest honesty comes from naivety. So I think you did a good thing in sharing this, and it encourages me to revisit some of my early, maybe naive, work. Thanks. I can only agree, thank you for commenting. very kind.